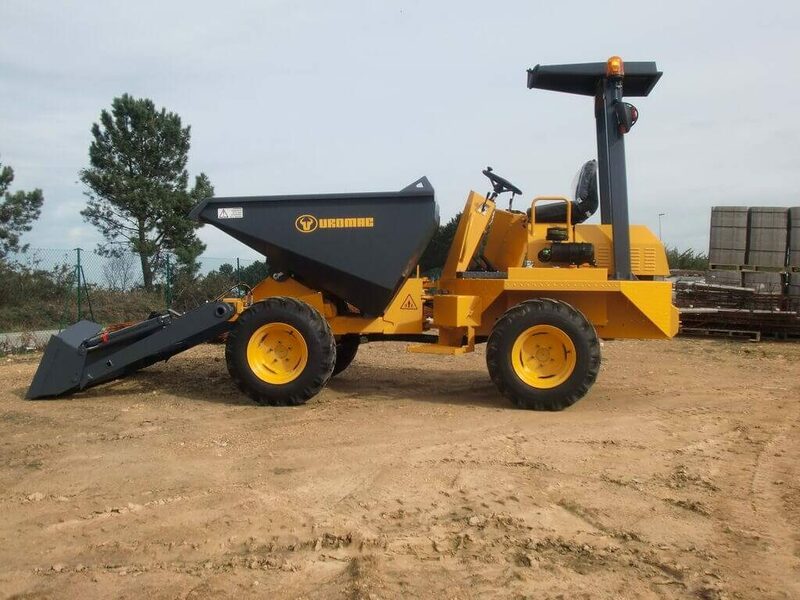 UROMAC has developed the LACERTIS range of road rail dumpers, tippers, concrete mixers and brush cutters in response to diverse customer requirements. This range has used UROMAC’s expertise in dumper equipment manufacturing to create a new modular machine concept suitable for multiple applications using one single chassis. 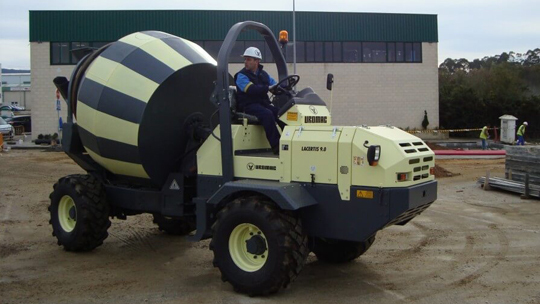 LACERTIS is a rotary tipping ba¬llast, concrete mixer, and a brush cutter all-in-one. This is an effective investment as the unit can be utilised year around by easily changing the attachment at our Brisbane shop. Uromac creates diesel forklifts known for their robust design and low maintenance costs. A Spanish manufacturer, Uromac is globally distributed in 100 countries, approved by NATO, and offers superior quality, while maintaining an operational efficiency with long term reliability. The DTH 2000 is a compact diesel forklift designed with high visibility and permanent 4 x 4 traction. With a 2000kg load centre at 600mm, the DTH 2000 is an excellent choice for most operations. 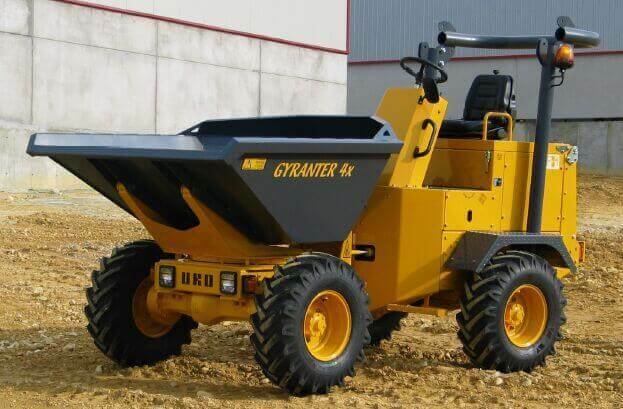 This model has a side shift carriage for optional hydraulic fork positioning and two speed inching control. The mast is a triple 3.6m with a full free lift height of 12 metres. Maximise your capabilities with this compact and versatile new forklift built to last. 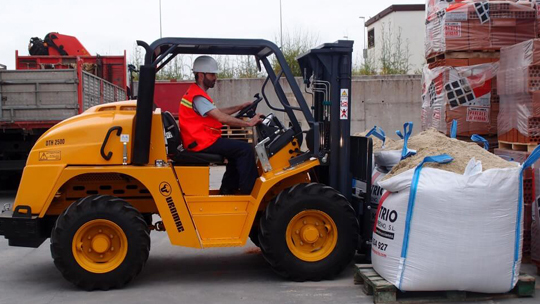 The DTH 2500 has a 2500kg load-capable 600mm centre, this hydrostatic diesel forklift is perfect for the larger jobs. Still compact with optimum operation efficiency, this Deutz 3 cylinder 35.8kw engine is capable of up to 18km/h. 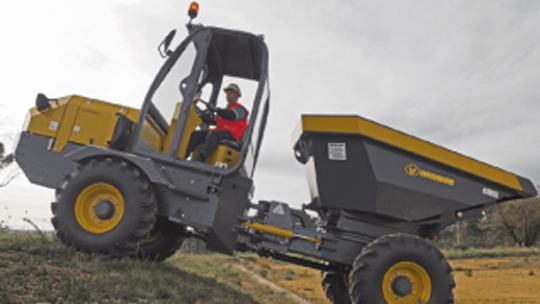 With permanent 4 x 4 traction, it has 38% soil and 50% tarmac grade ability. It’s easy to get around narrow access areas, with an interior turning circle of just 1.7m. With all the primary features of the DTH 2000, plus a 25% heavier carrying load, this mighty forklift is perfect for the mining, forestry, road-rail, or agriculture industries. 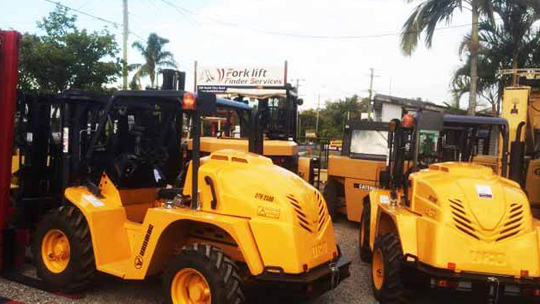 At Forklift Finder Services, we offer specialised rail road vehicles and equipment for maintenance and construction. Take a look at our range of UROMAC G-RAIL and Site Dumper road rail equipment and vehicles below to find purpose-built rail road machinery perfect for your project. 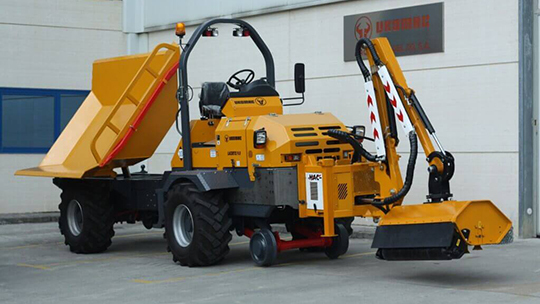 UROMAC Site Dumpers are motorized by a powerful Yanmar or Deutz engine, dependant on the model. The vehicles can feature from 2,500kgs to 9,000kgs capacity. 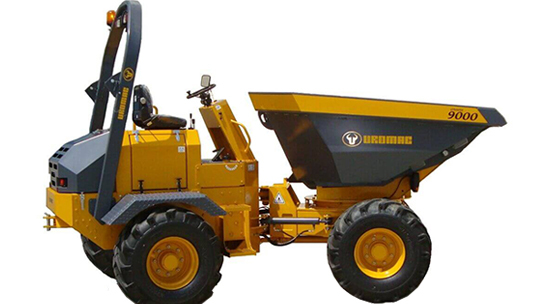 UROMAC Site Dumpers have a hydrostatic permanent four wheel drive transmission, oil immersed discs, a tight turning circle, a lighting system, and some are available with an optional self-loading shovel. 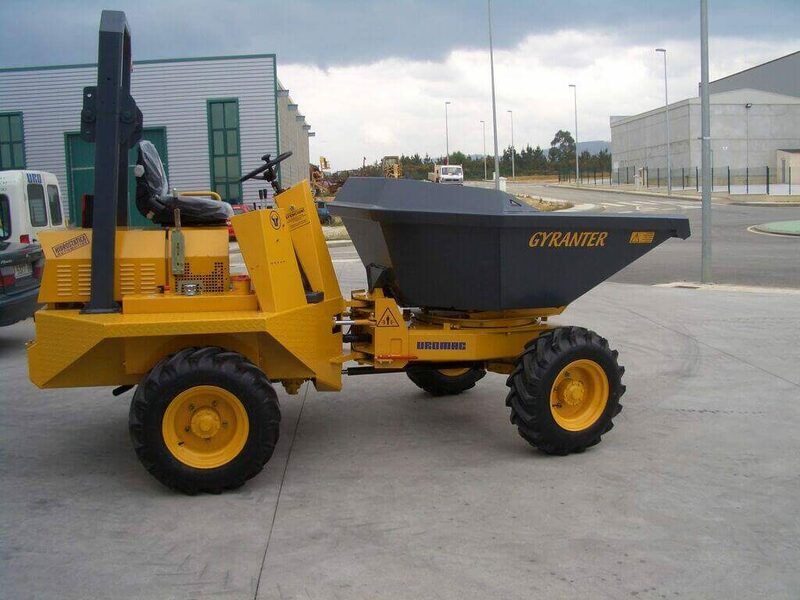 9 ton dump truck with multiple attachment configurations, supreme off road performance and a 360 degree rotating seat, reduces the numbers of manoeuvres at site. Driver can choose to face load or not, allows for better vision and less fatigue for optimum operator comfort and avoidance of dust. All wheels constantly track and articulated chassis increases manoeuvrability with a low turning radius. User friendly controls, high stability and a strong and fuel-efficient Cummins engine.